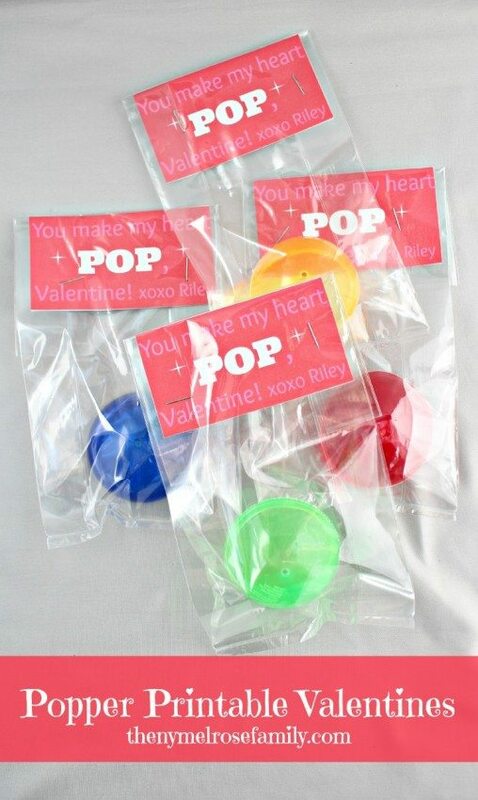 I absolutely love my holidays, and I have some super cute Valentines day ideas for kids. Valentines day is one of my favorite holidays and I think it’s largely due to the colors. I love the pinks and red and so does Riley, which of course makes it ten times the fun. With Riley in a preschool that has a strict policy on bringing in homemade foods, I’ve taken to creating cute holiday themed characters from fruit cups. For Christmas we had Reindeer, while this Halloween we had Frankensteins because last year was Pumpkins. It only seemed appropriate that we have Love Bug Fruit Cups as a great Valentines day idea for kids. This may contain affiliate links where I earn a small portion if you purchase something. 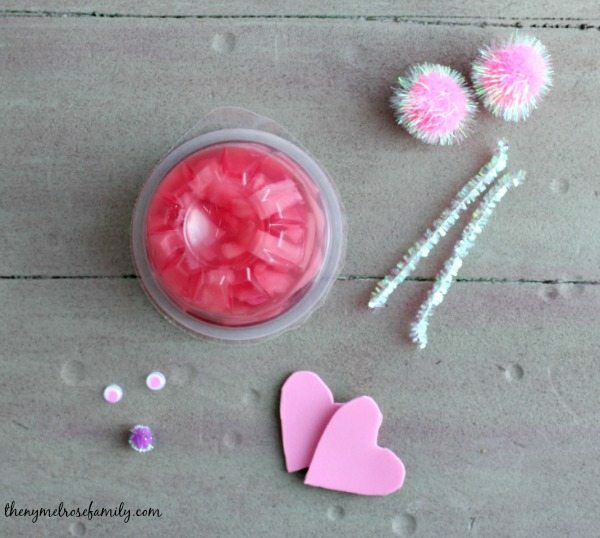 For these Valentines Day ideas for kids I free handed our hearts for our feet because I happened to already have pink foam leftover from our Bunny Tail Mix Push Pops. The Bunny Push Pops are from when Riley was in daycare and I was able to make homemade foods for the children at daycare. We also have a Lucky Pop Breakfast with free printable that is super cute and easy for St. Patrick’s day, which gets me excited about my St. Patrick’s Day fruit cup. Think lots of colors. Squeal! Back to the task at hand though. Valentines Day ideas for kids that’ll make you look like mom of the year. Sorry! Instead of free handing the foam hearts, you could always purchase pre-cut foam hearts as well. Hot glue the sparkle pom poms to the end of the pipe cleaners to make antennae. 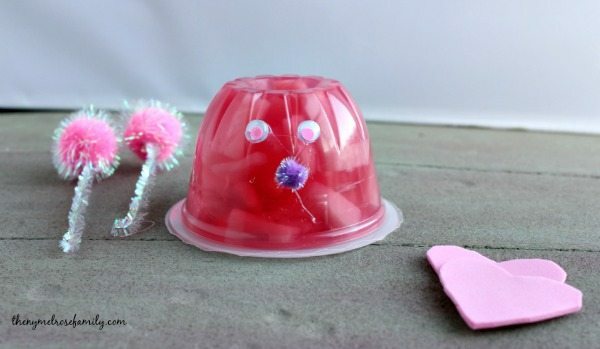 Next hot glue the googley eyes and small pom pom as a nose the fruit cup. Then hot glue the foam hearts to the bottom of the fruit cup as feet. The final step is to hot glue the antennae to the back of the fruit cup. In order to put together these Love Bug Fruit Cups, you’re going to start by gluing the sparkle pom poms to the ends of the sparkle pipe cleaners, which I cut in half before beginning. 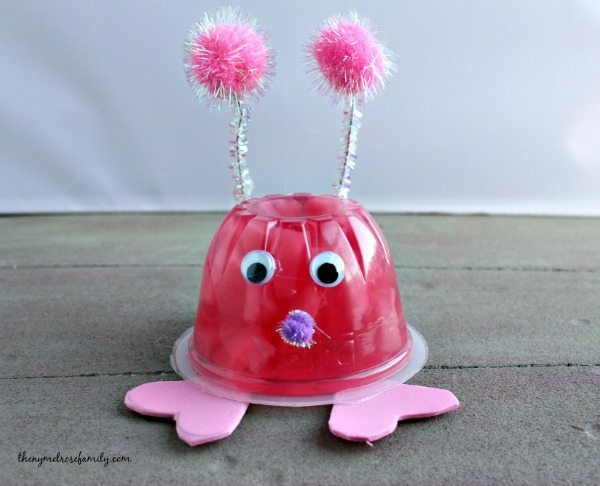 You’ll also want to hot glue the googley eyes and tiny pom pom onto the front of the fruit cup to create the face. Next, hot glue the hearts onto the bottom of the cups so that the hearts are sticking out. The final step is to glue the antenna to the back of the fruit cup so that they will stick straight up. Ta Da! 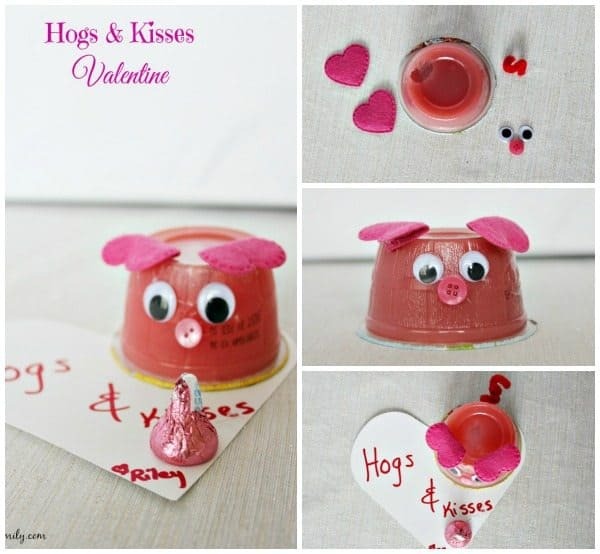 These are great Valentines day ideas for kids and a great alternative to candy crafts. Plus, it’s a craft that the kids can get involved in, minus the hot gluing part of course. 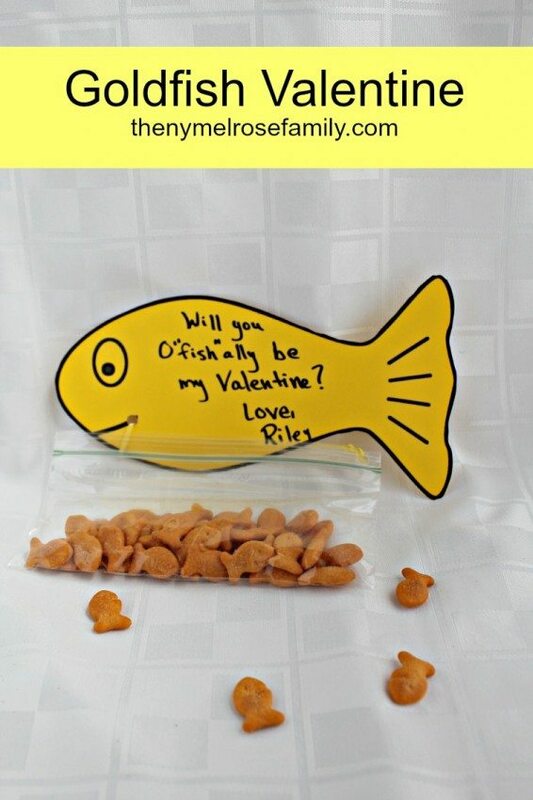 What a cute and creative idea! I’ve had to get creative as well with our “no homemade treats” policy. Thanks so much for sharing! I’m so glad that you liked them Becky! Oh, these are all so cute and adorable. 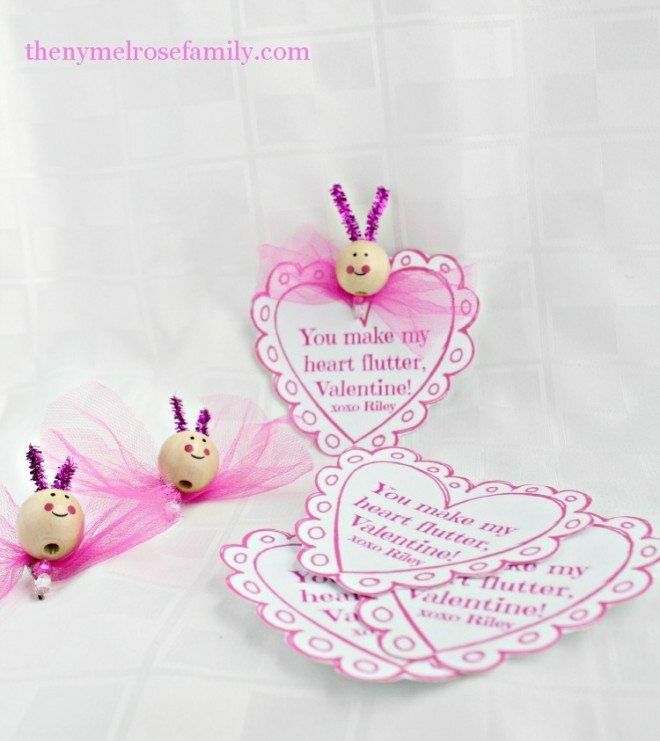 I’m sure my daughters will love making these… especially the love bugs. I loved making these! Took me awhile, as this is my very first time crafting. I had to buy everything, including glue gun! I made 25 of them for my twin boys 2 preschool classes at school. They were a hit as soon as I walked thru the school’s front doors! I told ev1 that I got them from a website with the name Melrose, as I couldn’t remember the entire name. The kids and teachers LOVED them! Will definitely be doing more things like this, and getting ideas from here! Superb! I know this web page presents quality dependent articles or reviews and additional information, is there any other web site which presents these stuff in quality? Super cute idea! Would be fun for the toddler or little kids. I love the idea! I am going to share with my readers the link to this post. Thanks for sharing! 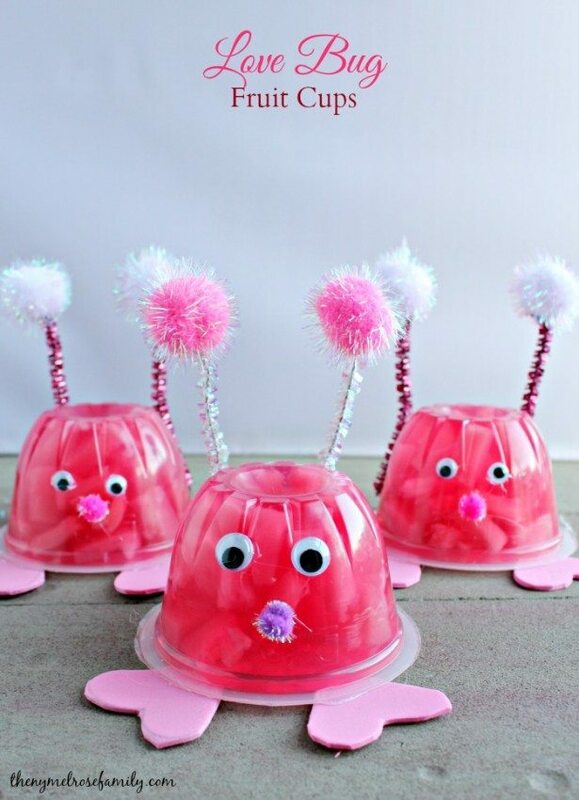 could you do this with pudding cups as well? Are these suppose to be to eat? With all the glue on them and the glitter I can’t see how you could easily it them. I’ve been looking for something my girls and I could make together for their Sunday School and Children’s Church classes. I love these little Love Bugs! Super easy for them to help make. They are two and love crafting – Thanks for sharing! We will definitely be doing these!!! Trackback from Valentines Day for the Domestically Challenged.